#2 Speed throughput – we have to be capable of running our email, web, applications, and more without a speedbump. #3 What can the NGFW claim to catch? SQL injection? malware, and more – sure it won’t catch all, but some is good and more is better. #4 Social media inspection and other potential encrypted communications, logging etc. It would be great if it can inspect SSL/TLS encrypted communications. #5 Co$t of course – It may do everything but we can’t afford it, so that does not help. 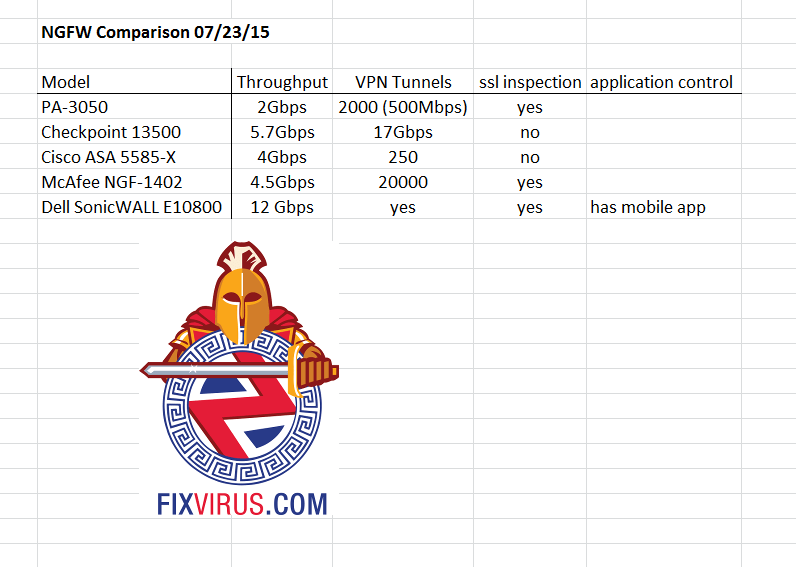 Of course this is only a 1 hour review of these 5 firewalls. I did not look at Cost, as that would require more time commitments and spec discussions. 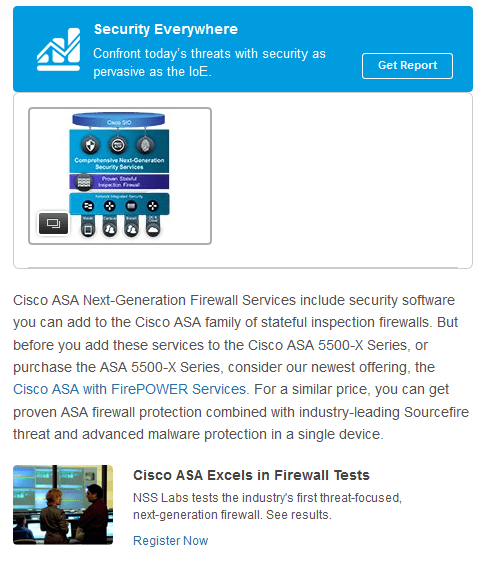 Previous Previous post: If Firewall Does Intrusion Prevention & Fails – Now What?